The train in Spain moves at the breakneck speed of a swift. Or at least that is when you hop onto one of the country’s high-speed trains that reach speeds of up to 193 miles per hour, which gives us all unique opportunities to see more of the country in less time. 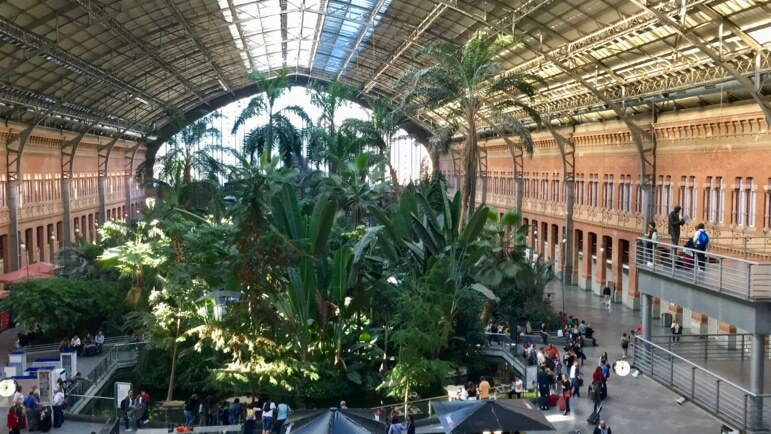 With a network connecting many of its major cities travel by train in Spain can offer up a completely different type of experience to the average city break. Part of this is due to Spain’s diversity. Although there are many mutually shared aspects of Spanish culture, it can at times feel a little like Italy, with each region still parading a clearly defined character, from geography to the nature of its people, language, food, customs and traditions. 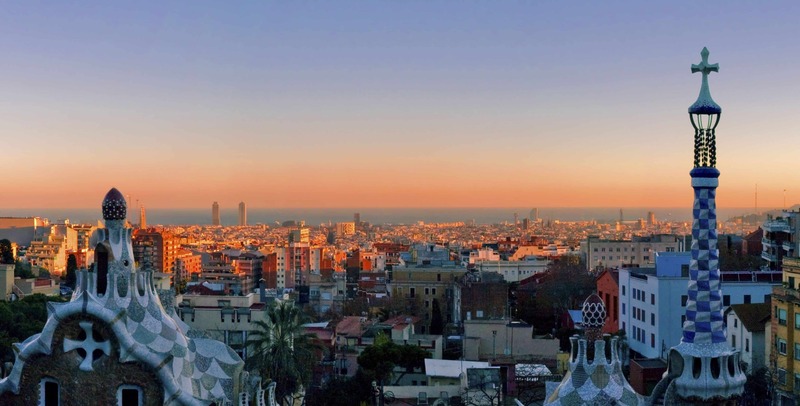 Land in one of Spain’s major cities, hop on one of national rail operator Renfe’s AVE trains – AVE means Alta Velocidad Española, meaning Spanish High Speed, but the initials are also a play on the Spanish word ave, meaning bird – and you’ll be on your way. As fun as the experience was, I would suggest doing it slightly differently. As travel writers, we often don’t travel as real travellers do – taking our time to really enjoy a destination. But you’re on holiday, and especially if it is your first time visiting some of your destinations, I would recommend taking it just a little slower. The train will still get you from one major city to another in one to two hours – but you could spend more time on the ground getting to grips with each. 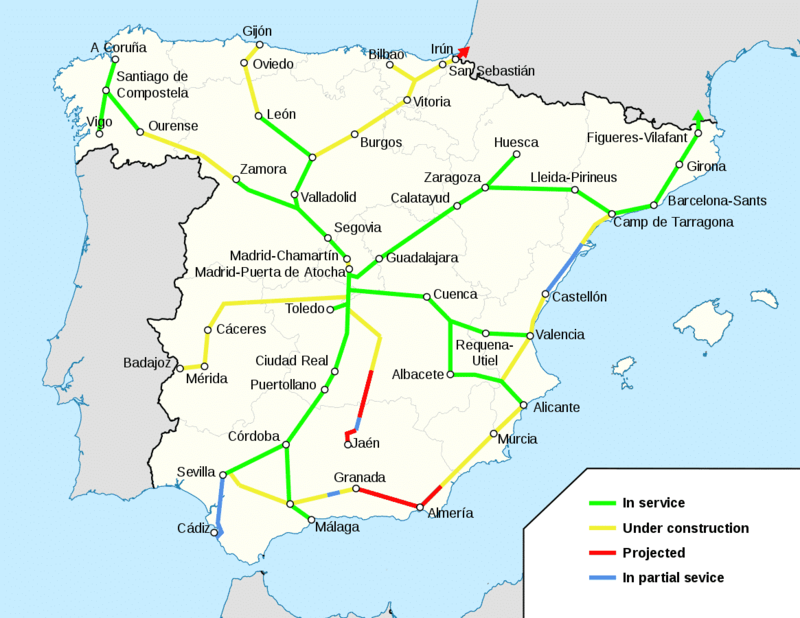 The Renfe AVE network takes in popular cities such as Madrid, Barcelona, Seville, Valencia, Málaga, and Alicante. But there are other cities that aren’t as well explored by visitors on the network too, including Zaragoza, Tarragona, Toledo, Córdoba, and Antequera. There is so much to recommend these cities. Madrid is the debonair capital, where high culture jostles for position with a young, vibrant city. 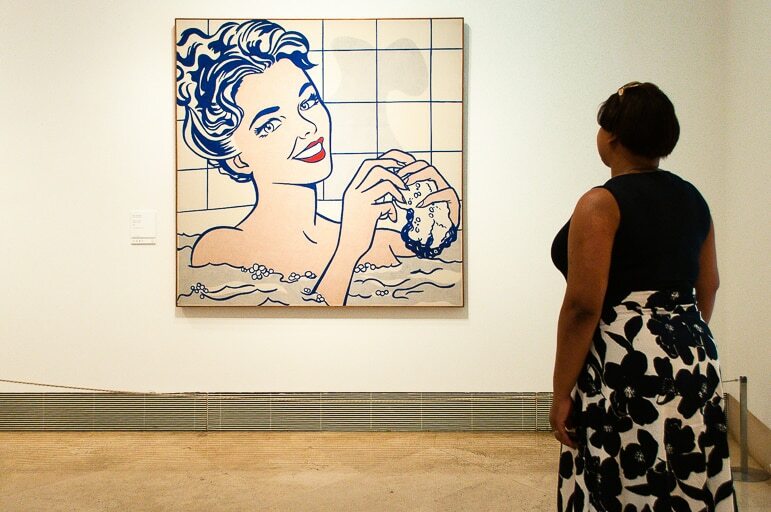 Its museums and galleries are home to works by the art world’s masters – Picasso, Goya, Rembrandt, van Gogh, El Greco, Velázquez and Dali. Literary artists too are regaled in the city. 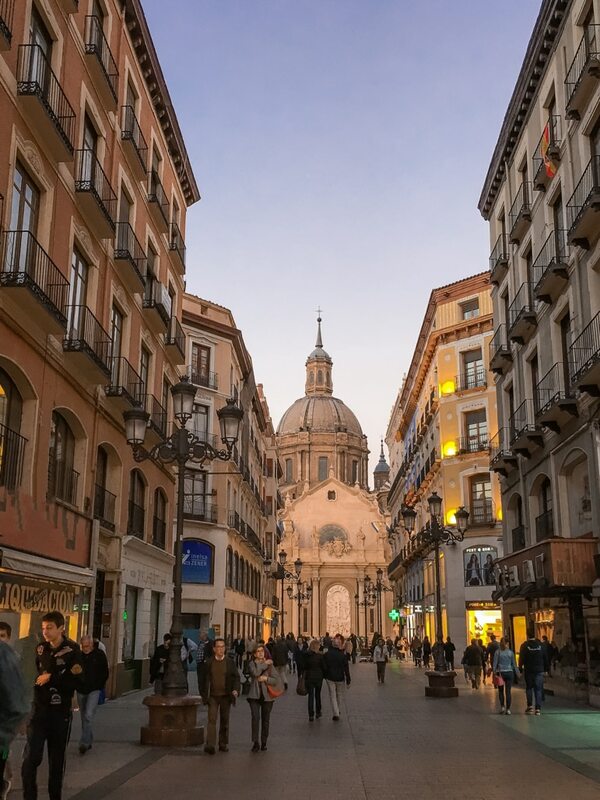 Wind your way through the backstreets off of Paseo del Prado and you’ll unearth the history of the likes of Lope de Vega and Cervantes, regaled as the author of the world’s first novel. Once the hot sun sets, the city really comes to life at any number of great restaurants, or at eat-in markets like San Miguel, San Anton and later, in its bars and jazz clubs. The unique nature of Barcelona has made it one of Europe’s most popular cities. Its attractions are plentiful – an inviting stretch of beach, the architecture of perhaps its most famous son, Gaudi, the opportunity to wander beyond Las Ramblas into the backstreets of the Barri Gothic Quarter, and also great places you can visit by train just outside of the city, such as the mountainside monastery at Montjuïc. Valencia and Alicante may not attract as many east coast visitors as Barcelona, but they also have plenty to offer. Valencia is replete with architectural style with the modern Calatrava-designed City of Arts and Sciences and the Gothic La Lonja. Meanwhile, as the home of paella, it has much to recommend it for food lovers. Alicante is perhaps best known as the gateway to the Costa Blanca, but overlook this city, and you’ll miss a pretty old quarter, a castle, and sweeping waterfront. Tarragona and Zaragoza – two of the cities we visited on our trip, the others being Madrid and Seville – were a revelation. 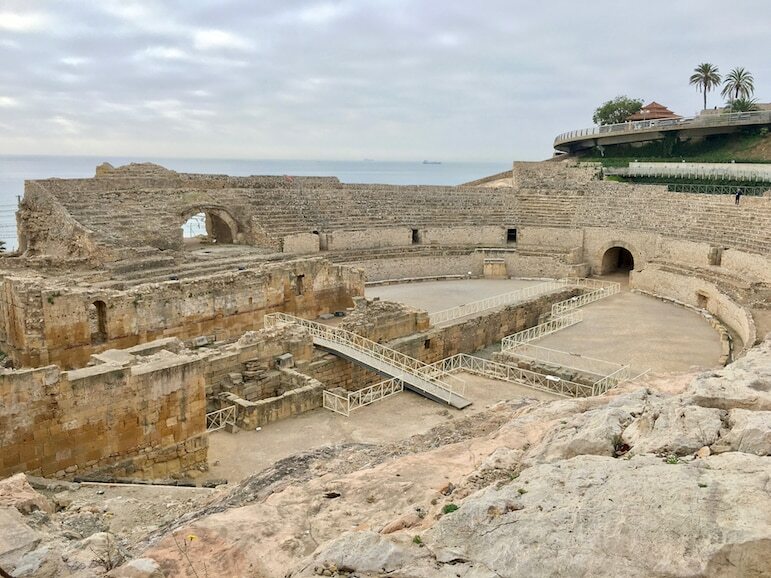 Tarragona is a historical marvel, a city of Roman ruins that could easily rival corners of Italy. Spain’s fifth largest city, Zaragoza, is one of its most elegant. While the Moors’ meander to the city left it with Europe’s most northerly Arabian palace, it is also a city of bridges, it has the multi-domed Basilica de Nuestra Señora de Pilar at its heart, and fantastic modern artworks/landmarks such as Alma del Ebro close to the Zaha Hadid-designed Bridge Pavilion, and Fuente de la Hispanidad. Head south to steamy Andalucia and you’ll find many of the AVE’s coolest cities. Many people bypass Malaga – another victim of its coastal neighbours stealing the limelight – but the city of Picasso has art in abundance, sweet wine, great food, and wondrous historic landmarks. Antequera is the place for deeper immersion into Andalucia but its size makes it utterly manageable for a short stop. While all of the Andalucian AVE cities revel in Moorish architecture, Córdoba may just be the jewel in the crown with the dramatic Mesquita at its heart. Giving it a run for its money though is stylish Seville. 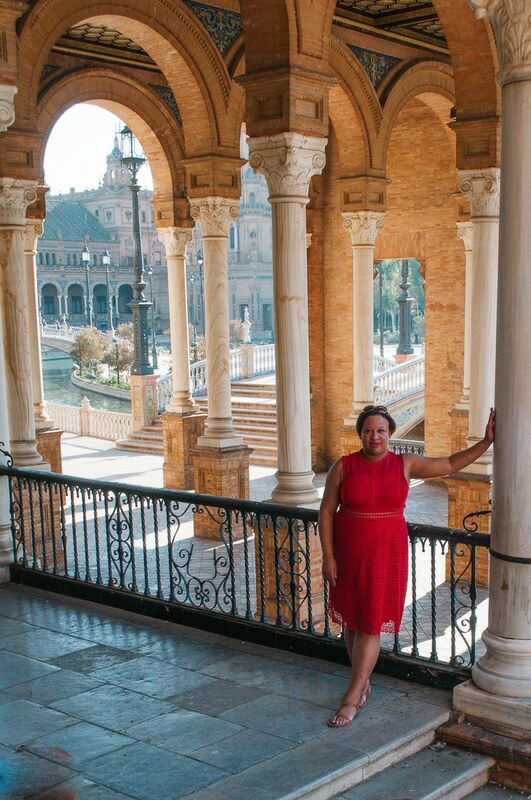 The final of our four stops on our Spain by train trip, Seville blends Moorish, gothic and modern architecture in its Alcazar Palace, cathedral, Plaza de España, and Las Setas. It’s also renowned for great food and a buzzing nightlife. 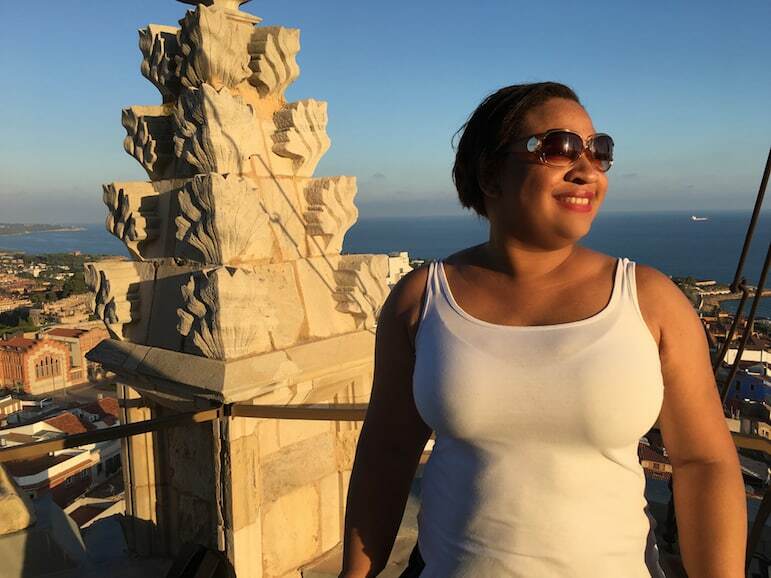 If that isn’t enough to be getting along with, there are yet more AVE stops – Segovia, Valladolid, Guadalajara Huesca, Cuidad Real, Lleida, Puertollano, Cuenca, Albacete, Villena for Hispanophiles that really want to dig deeper into the country. 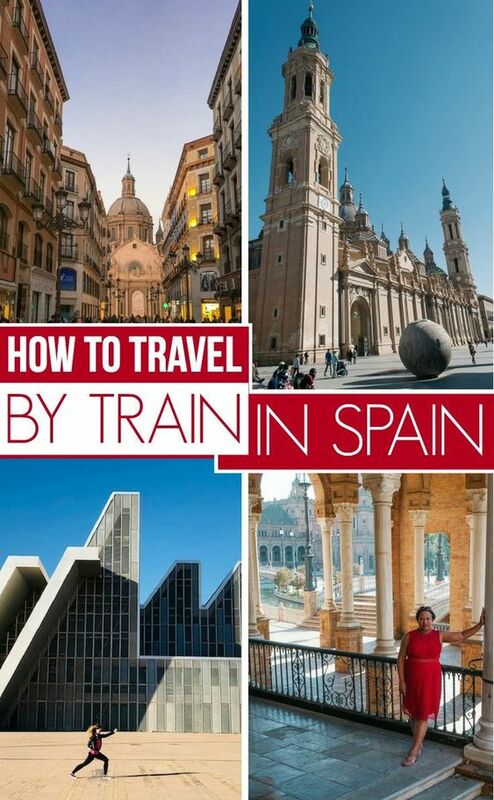 Book in advance: AVE trains in Spain require a seat reservation, you cannot just turn up and travel. Also by booking in advance, you can access the cheapest way to travel by train in Spain. Promo & Promo+ fares cost, for example, €28 from Madrid to Seville. On the day of travel the same journey could cost €75. Arrive early: be sure to get to the train station at least 20 minutes before your train is due to depart. There are airport-style security checks in place (even though, much speedier and simpler) including scanners for all luggage. Hit the lounge: If you’re travelling in Preferente class with at least a Promo+ ticket, you can access the Sala Club lounges at Madrid Atocha, Madrid Chamartin, Alicante, Barcelona Sants, Córdoba, Málaga, Seville, and Zaragoza. Promo tickets do not include lounge access. Load up: each passenger can travel with up to three pieces of luggage, which should not exceed a combined 25 kilogrammes. The largest bag should not be more than 85 x 55 x 35 centimetres. Food and drink: Most AVE trains have a cafe-bar serving hot drinks, beer, wine and snacks. Get connected: AVEs are all being fitted with Wi-Fi, which is free to all travellers in Preferente class or those in Turista who have signed up to Renfe’s free +Renfe loyalty scheme. Internet access costs a few euros for other passengers. On arrival: Be aware that not all AVE stations are the same as central city centre stations. Camp Tarragona, for example, is around 15-20 minutes drive from the city, so you may need to hop in a taxi, or take a bus from there. 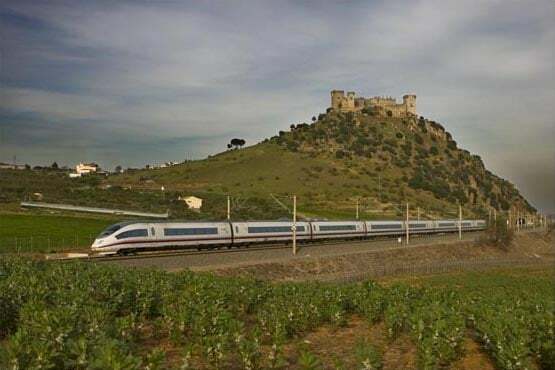 Train travel in Spain is a relaxed way to see more of the country, and with most journeys averaging 1-2 hours between cities on Europe’s largest high-speed rail network, you really can see more of the country in less time. 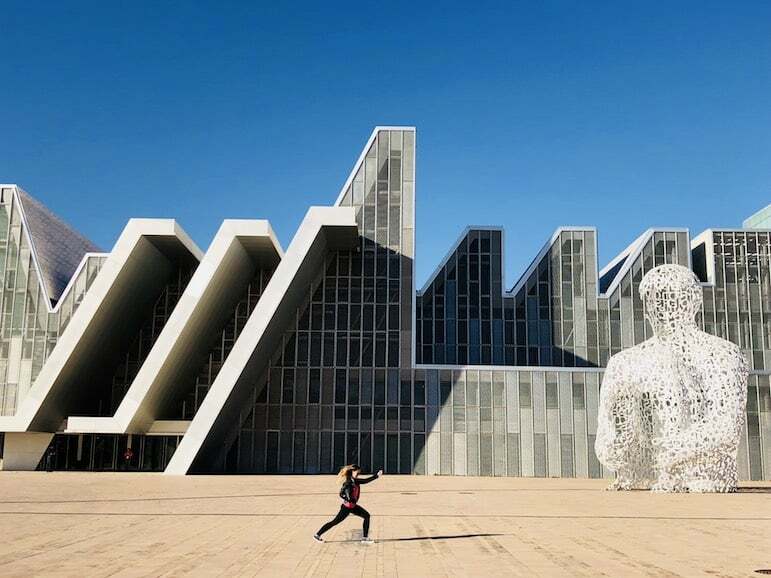 Discover more about Spain’s AVE cities. Book your AVE tickets via Renfe. Get the lowdown on train travel across Spain’s network – from AVE to regional trains on Seat 61. It has been a dream of mine for over 20 years to travel by train in Spain. So many fantabulous places to discover! Would be fantastic as now I’m too scared to fly. Thank you so much for sharing this post! I’ve been to Spain and I’m going to Andulusia this October but I never tried the Ave trains. Great guide!